Track the shipping status of your request. Please login to track your request. If you are a non member please verify your request. Please input your reference number or email to verify your request. * In case of email, reference no. is mandatory. Pump up your audio experience with clear and impactful booming beats. 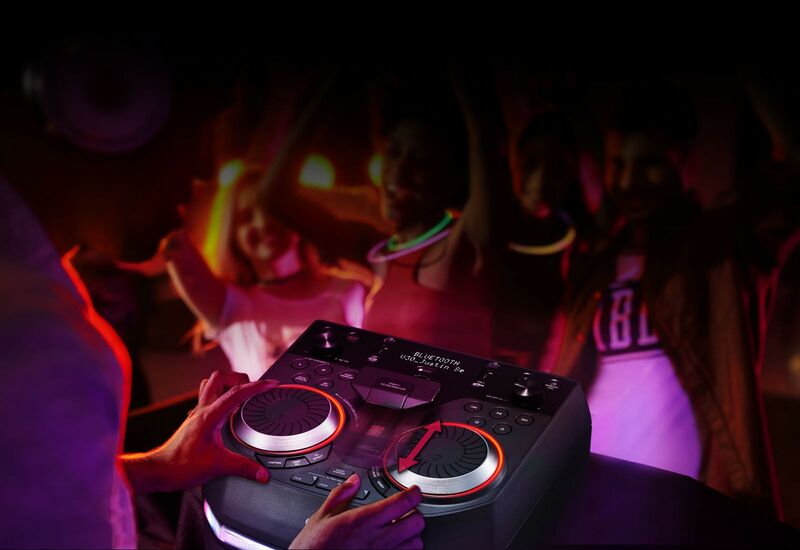 LG X-Boom OK99 is designed to accommodate any party no matter the size. The LG X-Boom OK99 pumps out thumping, thunderous low-end from its 12inch mighty woofer for bass you can feel as well as hear. 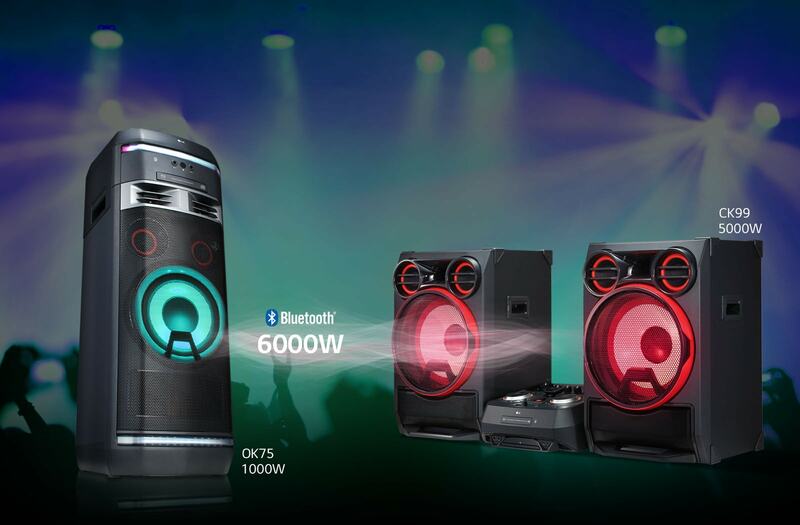 Complete your party with Multi Color Lighting Woofers that changes to the beat of the music playing. The white Dual Sparkle Strips and the blue and red corner lightings highlight the party with more fun. Start music on anywhere with LG X-Boom OK99. Grab the handles and roll your system where you need it. Become a DJ with Pro DJ features. Turn the jog wheel for scratching and add other various sound effects as well as looping specific part of the track by simply pushing a button. 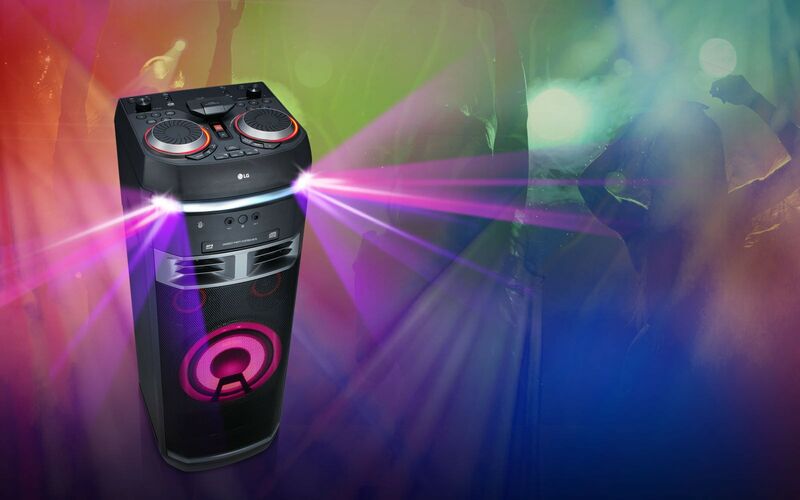 Build up the energy with the Party Accelerator controller. Simply slide the throttle forward to experience the party build up with booming systems and crazy lightings. Play and mix from two different USB drives. 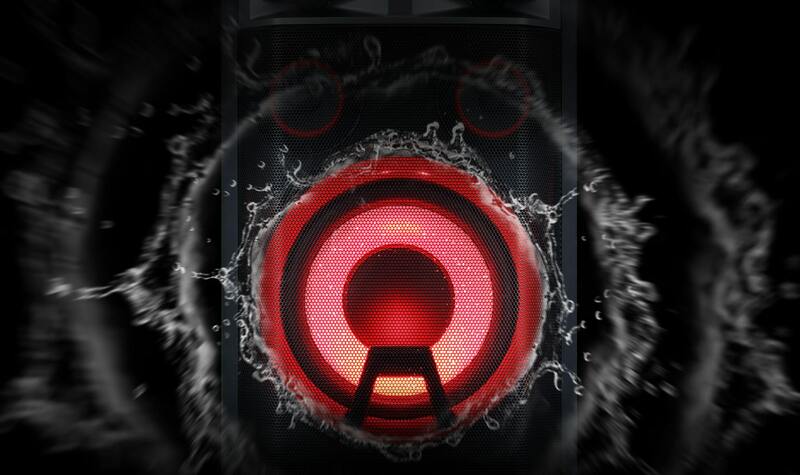 With DJ Sharing feature, you can easily send mixed party tracks to your phone. With the push of a button the vocals can be suppressed from almost any track and source. Change the key of the track to better suit your vocal range. Sing along to your favorite music without having to buy special tracks. 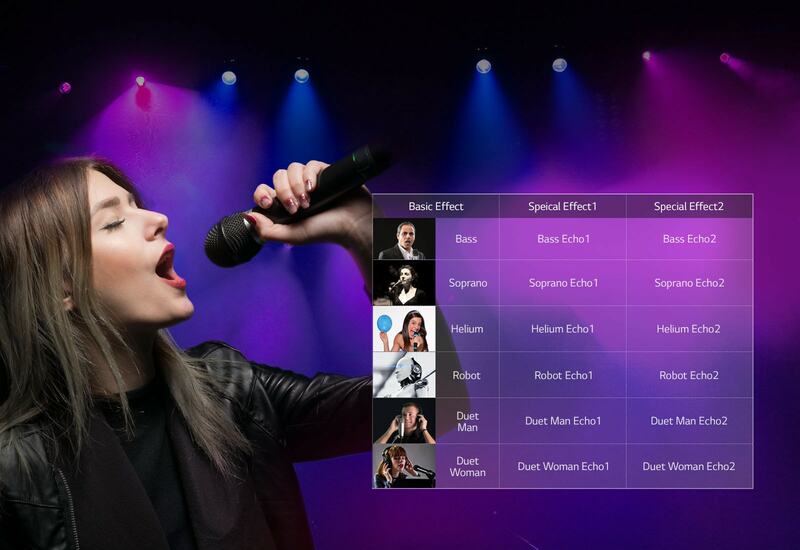 Take control of your voice with 18 different Vocal Effects even when you sing, making every party more fun. Enjoy watching the TV with a powerful and balanced sound. 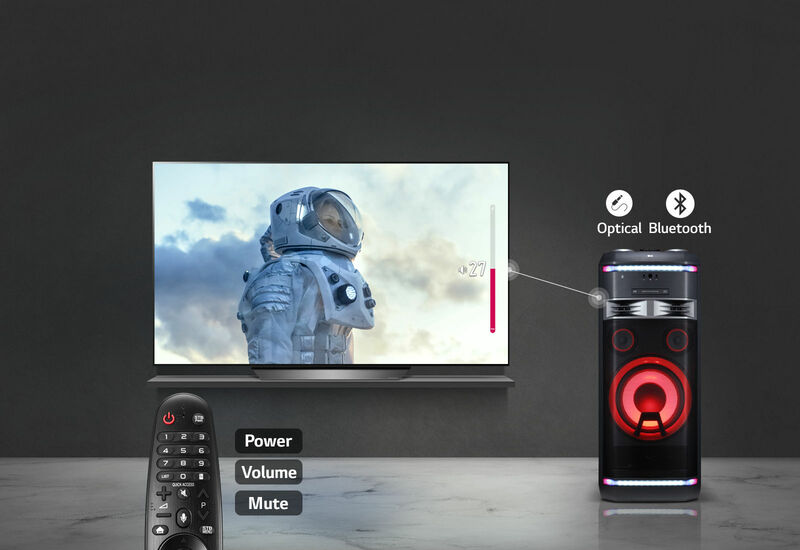 Connect your TV to the LG X-Boom OK99 via optical cable or wirelessly. With compatible LG TV, you can easily adjust the volume with your TV remote control. Wireless Party Link allows two LG Party Systems to be connected together to create an immersive sound. Making it even better, any compatible LG Party System can work for you to mix and match your audio. Up to three different people can connect their devices to the speaker system via bluetooth and build a playist on the fly, without ever interrupting the party. Pick any available song, then just add it to the queue. Get your questions answered about product setup, use and care repair and maintenance issues. We can help. All Payments should be directly made to Brand Store at the time of delivery. LG Electronics will niether be liable for any payment nor fulfillment of requests received. * LG Authorized Brand Shop will offer Free Delivery on all LG products except if additional labour require to carry products from Ground Floor to any other Floor above it. * Design, feature and specifications mentioned on website are subject to change without notice. It is recommended to experience the product in actual at LG store nearby your location and take demo of product & its features from LG representative.